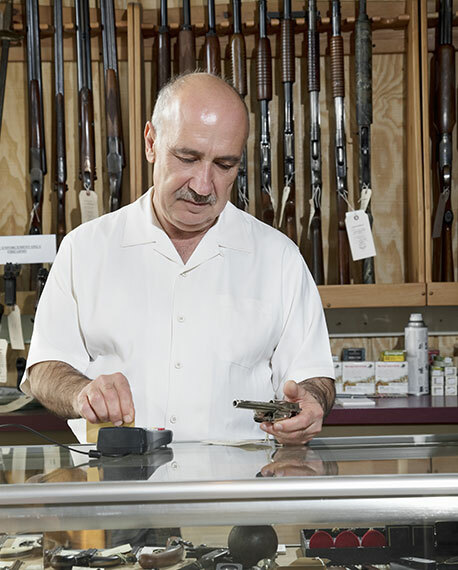 Studying the the ins and outs of the gun and ammunition industry for decades has been the key to serving its merchants with the best payment solutions on the market. Merchants who sell or manufacture guns, ammunition or related supplies often have a difficult time finding a merchant service provider. Even if they get approved for a merchant account, firearm retailers typically face high transaction rates and inconvenient account holds when they accept large electronic payments. Ecommerce gun stores bear even more discrimination from payment processors since they’re considered doubly high risk—handling card-not-present transactions in an industry ridden with chargebacks, legal issues and conflicting opinions on regulation. BankCard USA takes a more proactive approach to the industry. We take pride in our experience providing quality, affordable merchant services to firearms companies. We understand the expansive restrictions imposed on them by federal and state governments and trust that supervision. Even though it’s considered high risk, the firearm and ammunition market is one that we value. It’s also a major catalyst for economic growth in the U.S. Created 30,000 new jobs in the past three years. Employs over 141,000 people and an additional 159,623 in ancillary industries (businesses that supply goods or services to merchants who make, sell or distribute firearms and/or ammunition, plus any that rely on this industry for the bulk of their sales). Pays sizeable federal and state taxes on the products it sells (3.8 billion in federal business taxes, 2.7 billion in state taxes, and 838 million in excise taxes in 2016). Much of the tax revenue funds wildlife conservation efforts. The Pittman-Robertson excise tax is one example and funds hunting education programs, habitat restoration efforts and other projects. As a whole, was responsible for over $51 billion in annual economic activity, a 168% increase since 2008. Whether you’re a big or small gun retailer, ammunition manufacturer, the owner of a shooting range or any merchant involved in the firearms community, we can customize a payment processing package that meets your unique needs. Chargeback mitigation and fraud prevention packages such as Authorize.net's Advanced Fraud Detection Suite (AFDS). The AFDS allows you to set custom filters and thresholds on your payment gateway. For example, the hourly velocity filter lets you set a specific limit on the number of transactions you receive in one hour, curbing fast, high-volume fraud attempts common for ecommerce sites. With a firearms merchant account with BankCard USA, you don't have to settle for high transaction rates, outdated equipment and hidden fees commonly exploited by other providers. We value long-lasting partnerships with firearms merchants over cutting a quick profit. Integrate a payment solution designed with your business in mind. The options for customization are endless and the choices are all yours.